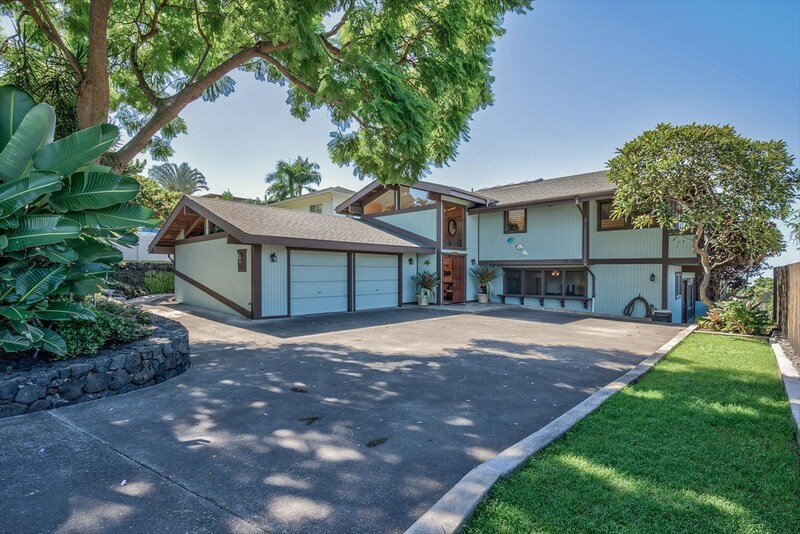 Love a big Hawaiian home with ocean views? Love big homes? A large or multi-generational family will be right at home in this almost 5,000 square foot, 7-bedroom home with ocean views. Aptly named Kualoha, "God's Love", features 3 separate living areas and there are ocean views from both levels. The upstairs has 3 over-sized bedrooms with 2 full baths (the master bath has a bidet! ), a light and bright great room with the kitchen featuring stainless appliances and a long breakfast bar that will surely become the family center. A place to do homework, arrange flowers, and even cook. Overhead are vaulted ceilings and a spectacular pyramid sky light providing lighting during the day and for watching the evening stars at night. An expansive screened lanai makes enjoying the sunsets (and even working out) a pleasure. The large master bedroom suite is an inviting private retreat with soaking tub, bidet, separate shower, and double sinks.